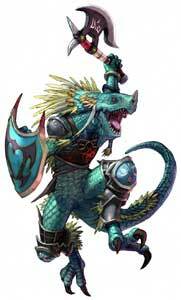 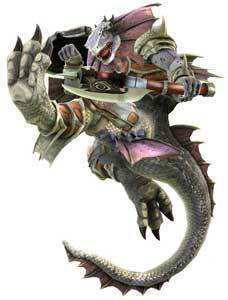 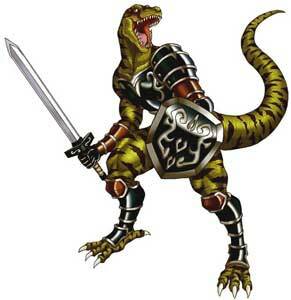 Lizardman is a playable character in the SoulCalibur fighting game series. He was introduced as an unlockable character in the first SoulCalibur (1998). 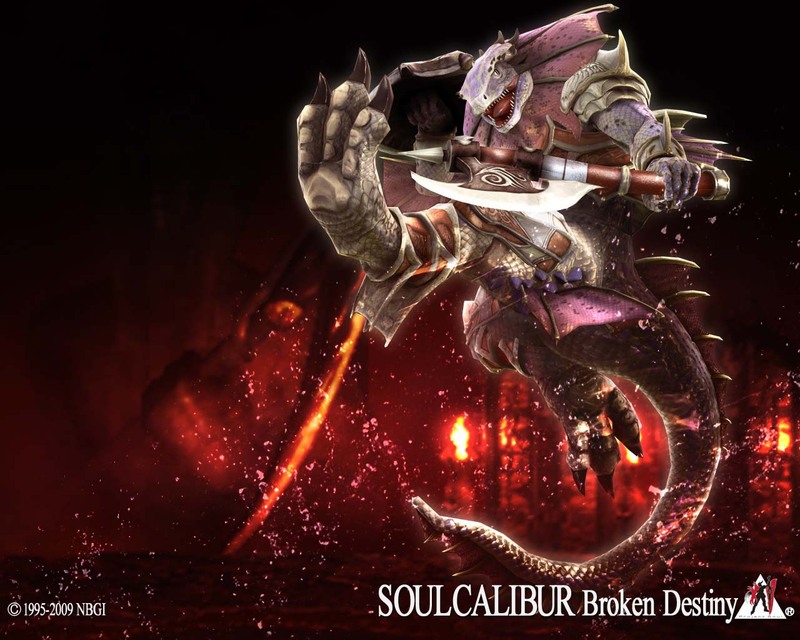 In SoulCalibur II (2003) he was one of the unlockable console exclusive characters and could not be played in all modes of the game. 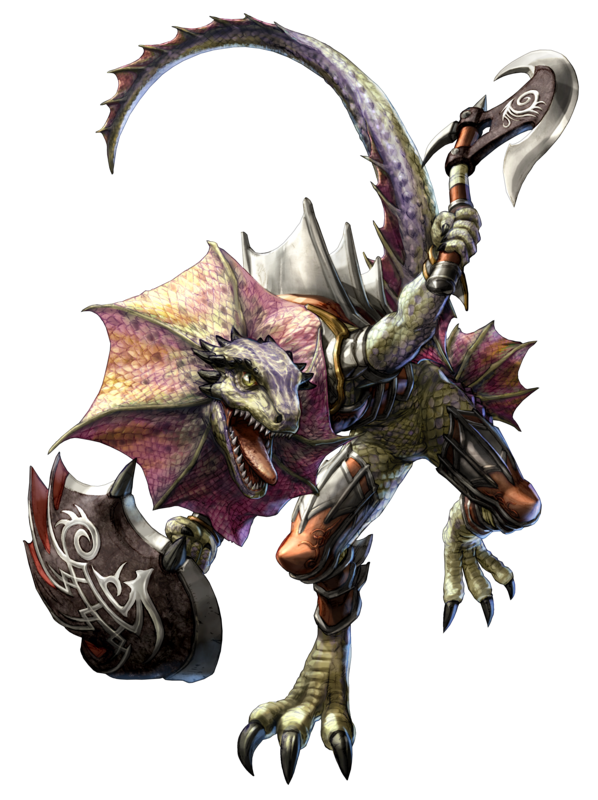 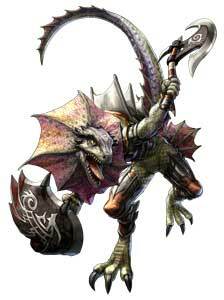 Lizardman returned again as an unlockable character in SoulCalibur III (2005) but was playable from the start in SoulCalibur IV (2008) and its PSP port SoulCalibur: Broken Destiny (2009). 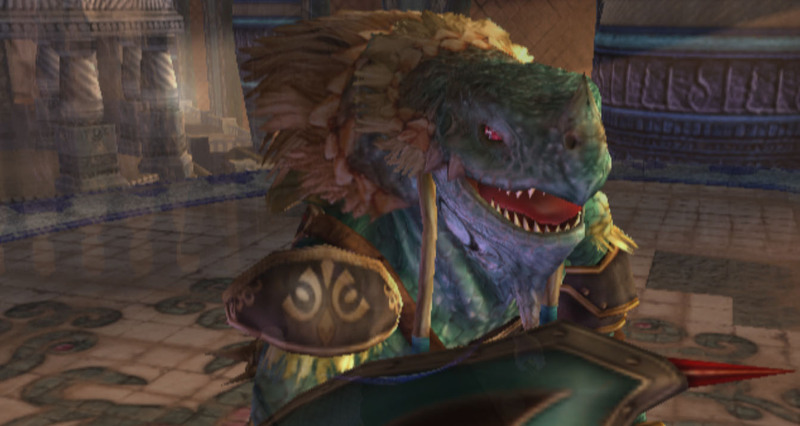 In SoulCalibur V (2012), he is replaced by Aen Calcos who might be the same being but uses different weapons, looks very different and has moves from Kratos who was a guest character in SCBD, it is not totally clear that he is the same character as Lizardman, therefore we keep them apart with two galleries here.